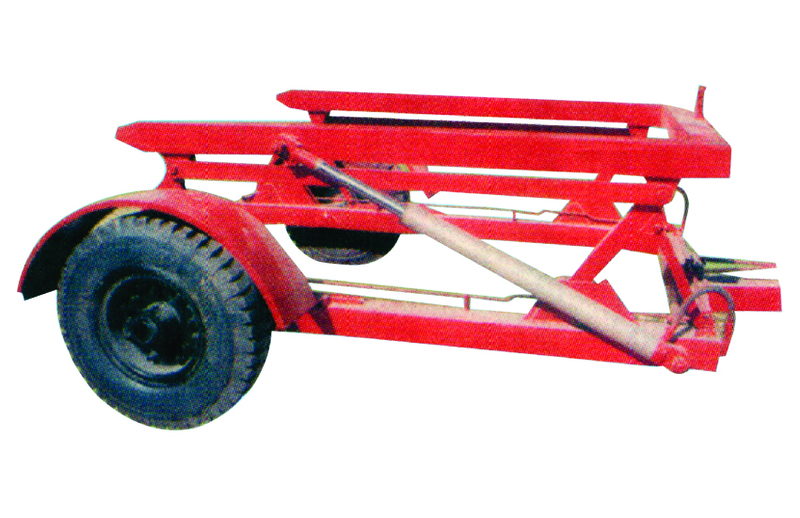 Durga container carrier system can be attached and operated by any 35 hp tractor. It consist of two hydraulic single acting cylinder. The toe hook shall be of 30 mm. 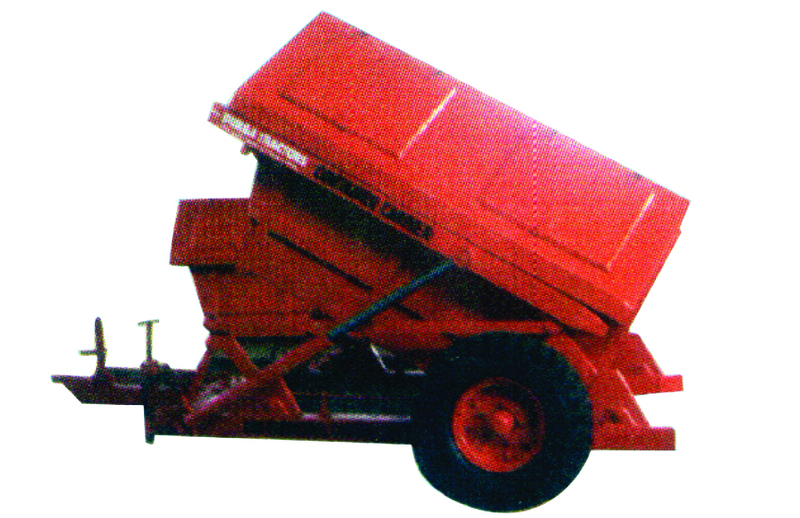 Overall dimension of 4050mm X 2300 mm X 980 mm (L X B X H) with a carrying capacity of 5 tons. Shall have the mechanisms to lift and transport the 3 m3 / 4.5 m3 container. Box Type heavy duty tubular structural frame of 125 X 125 X 8/10 mm C channel. Two nos. 75 X 75 mm squre axle with 2 nos. Steel hubs with bearing of reputed Make.